This site is divided into four main sections. 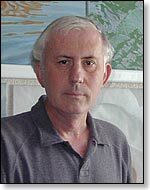 There is a description of Finchingfield, in Essex, photos and memories of old BBC Radio broadcasting equipment and studios, a selection of my paintings and an account of the building of a model railway. Finchingfield, in Essex, is one of the prettiest of English villages. One of my grandfathers was born in the parish, and the family 'archive' contains some pictures dating back to the early years of the 20th century. To a selection of these, I've added some more recent pictures, showing how the village changed in a period of about a hundred years. 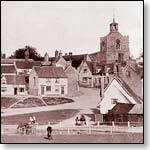 There is also a page for anyone researching the history of numerous village families. Another section of this site with a nostalgic feel can be found here. 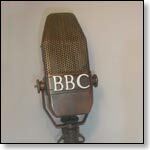 There are photographs of, and articles about, studios and equipment from the past of BBC Radio. There's a large section about the then new Broadcasting House in London in 1932. This will be of interest to anyone attracted by the interior design of the period. Further sections deal with later equipment and memories of those of us who used it. Last updated: 6th February 2019. It's at least four decades since I last tried to build a model railway. The materials available for modelling have improved dramatically in those years. On these pages I describe how I'm getting on with an N gauge layout which includes many buildings inspired by some in Finchingfield (which never had a railway). This section of the site, like the model itself, is a work in progress. I have painted a variety of subjects and usually use Alkyd colours, which are similar to oil paint but faster drying. 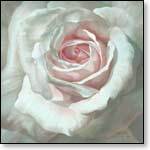 There are lots of pictures of white roses, painted on fairly large canvasses and in close-up. I've also worked on images of reflections in water. You'll also find here some paintings of steam trains and a selection of earlier work - landscapes, river and coastal scenes, still life, buildings and interiors. 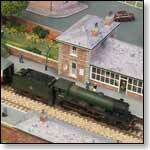 Theses days, though, the model railway takes up too much time to permit any painting! Copyright Roger Beckwith. All rights reserved. This page last modified 6th February 2019.